The Syrian Army is already intercepting many Israeli projectors by the old defence systems such as BUKs, S200 and Pantsir S1 systems, and it seems that Syria’s priority is to destroy the attacking missiles and not strike the Israeli fighter jets because Damascus believes it is not the right time for escalation. the S-300 is for intercepting targets like ballistic missiles and hostile fighter jets and not for projectors. And since Israel isn’t penetrating the Syrian air space, rather bombing Syria from the occupied Golan Heights and Lebanon, Syria hasn’t activated the advanced S300 yet. There is a possibility that the Syrian army officers are still training on the S300 system and some reports indicate that they will be ready in March 2019. 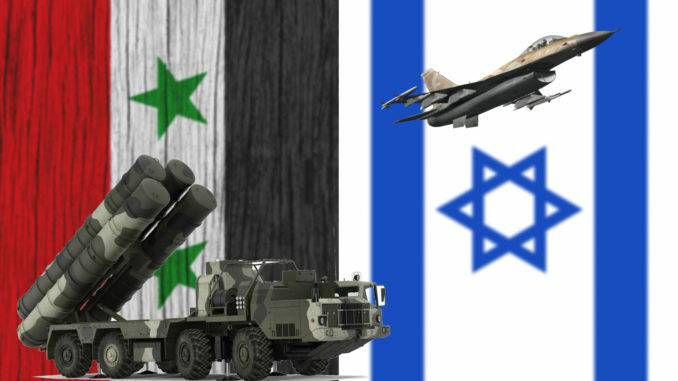 The second theory, which I believe is true, Syria won’t use the S 300 system even if its installed and the soldiers are well trained, until a serious war erupts with Israel. Syria always keeps the locations of its most advanced weapons secret. The element of surprise is very important in military science.